Jiayuguan is a pass standing at the western end of the Ming Dynasty Great Wall, which was built with rammed earth, making yellow its dominant hue and helping the pass blend harmoniously with the surrounding desert. 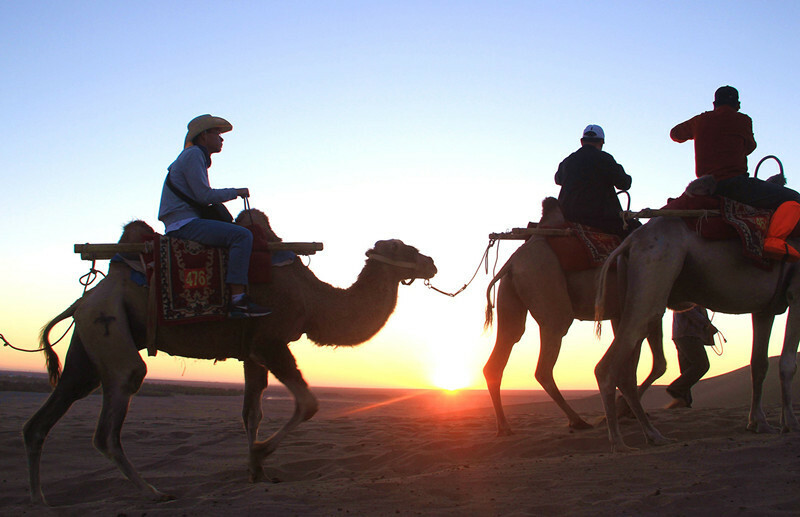 During the tour, we will take you visit the highlights in Jiayuguan and Dunhuang. Go to see the starting point of Great Wall of Ming Dynasty – Jiayuguan Pass. Marvel at the nature wonders of the Yadan National Geological Park. Visit the world famous Mogao Grottoes. Take the morning flight or train to Jiayuguan and tour guide will pick you up from airport or train station. Then we will head to Jiayuguan Fort. Jiayuguan is a well restored fort marking the edge of the Great Wall in the Ming Dynasty time, in an important place in the Hexi Corridor. Frist we will stop at the Great Wall Mesum for a brief visit. Afte that, explore the grandoise fortress. Then we will drive 18km to visit Xuanbi Great Wall. It is a part of the Chinese Great Wall along with Badaling Great Wall, Mutianyu Great Wall, Simatai Great Wall, Jinshanling Great Wall, etc. In the morning, drive to Dunhuang and stay over night here. We will stop at Yulin Grottoes for a visit. There are 42 grottoes that have 53820 square feet murals and over 250 painted sculptures retained in the Yulin Grottoes. In the evening, try some local food at Shazhou Night Market or buy some interesting souvenirs. In the morning, drive about 10km to visit Mogao Grottoes Digital Exhibition Center to learn more about Mogao Grottoes. Then we will head to Mogao Grottoes, which is known as “The Thousand Buddha Cave”, and noted as one of the most important cultural and historical sites in China. After breakfast, drive to Yadan National Geopark. 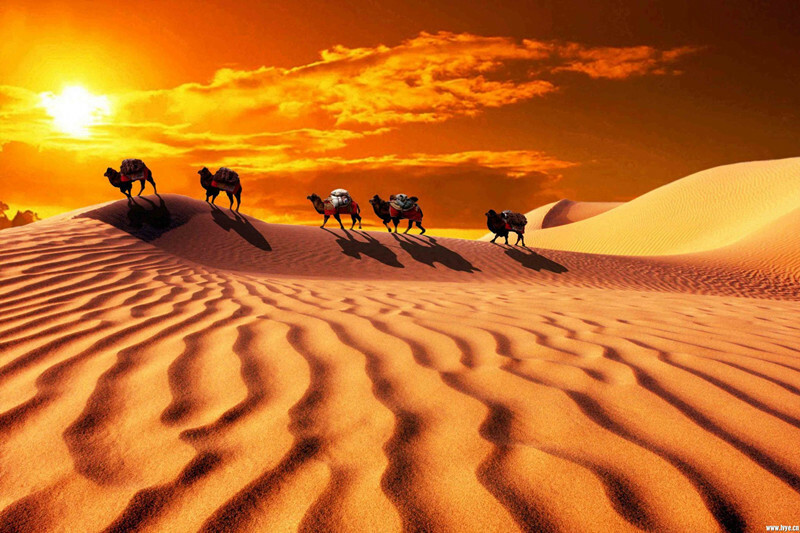 Situated 180 kilometers in the northwest away from Dunhuang City, Yadan National Gepark features the unique and wonderful scenes and landscapes of gobi desert. On route, we will stop to visit the Yumenguan Pass and Ruin of Great Wall of Han Dynasty. 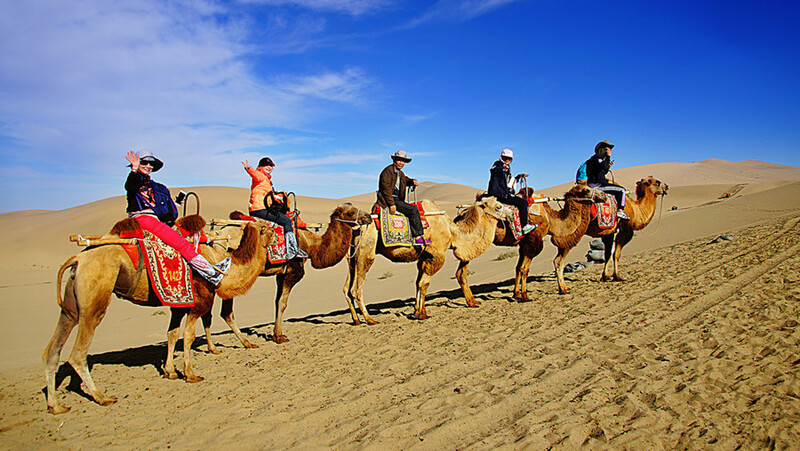 Then transfer back to Dunhuang city for your flight or train.